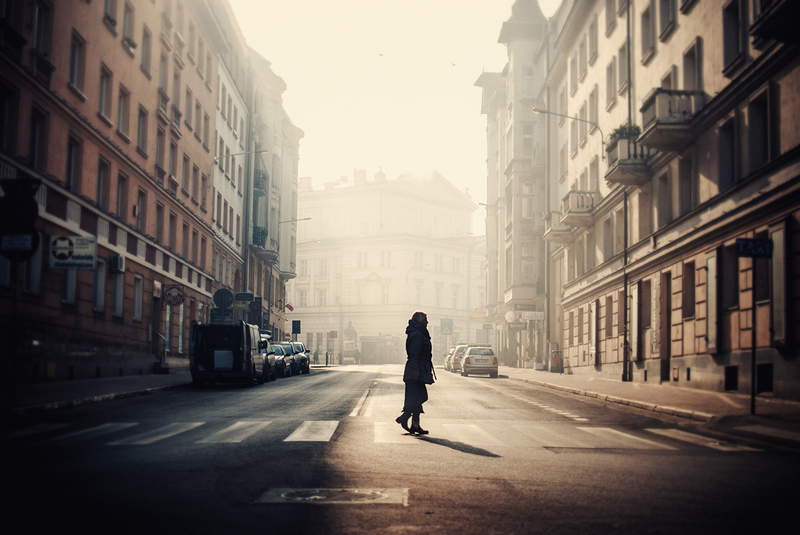 In the early morning light a woman’s silhouette can be seen crossing the street. She stops and turns. In the early morning light a woman’s silhouette can be seen crossing the street. She stops and turns. The mist is not yet burned off by the hard afternoon sun. Here, the city still sleeps, as though in a dream. Street sweepers and sirens hold their peace. She sighs. “Too bad the city doesn’t sustain this degree of tranquility in its waking hours,” she muttered fretfully. And yet, would she notice the early morning light and mist in the same way if not for their stark contrast to the chaos of the waking hours? Was not this stillness a promise that things can begin again? That the most chaotic can itself be still in the promise and presence of the divine.